First of all, I’d like to express my hearty sympathy for all the persons and pets affected by the earthquake and tsunamis in Eastern part of Japan. And for all of my friends abroad, thank you very much for your concern and comments. As reported, all of us in Japan office are safe. We have several problems but overall we’re getting back to normal daily life, at least in Tokyo. I heard foreign media is reporting supermarkets in Japan are lacking the goods to be sold. Actually we have good supply including fresh food as you see. I took these photos today. Electricity: Currently rotational, scheduled black-out is in force around Tokyo. Also government is asking people to save electricity as much as possible. It is also affecting the business through for example longer delivery lead time (including our own). Train: Because of above black-out, less trains than usual and commuting to the office is affected. Emergency supplies: Batteries, hand lights, radios, toilet rolls, tissue paper and several other products are sold out. Local food and drink: For example, they have limited supply of milk because they are mostly produced in the affected area. I hope these will be solved as soon as possible. After the earthquake, I had several interesting experiences. One of them is hoax on Twitter. There is something called “ReTweet” in Twitter. It is to forward a tweet that you think good to your follower. In other words, it is a way to agree and to recommend someone else’s tweet. So, a hoax can spread very quickly by retweeting if that looks real and important. One example was a hoax Tweet saying “Plz diffuse: A tank containing toxic chemical at the petroleum factory of Cosmo Oil exploded. It spilled toxic gas and that will fall with rain. Do not go out when it rains. Never expose your skin.” FYI Cosmo Oil is actually existing petroleum company. This one was diffused over Japanese-speaking Twitter society very rapidly. It started at around 10-11am on Mar 12, the next day of earthquake, and became very popular RT (ReTweet) by noon. It became popular rapidly partly because a tank of Cosmo Oil facility actually burned by the quake, and that scene was broadcasted on TV many times. People who saw the tweet thought it could be true, and retweeted. The news showing the burn of tank said “LPG tank is burning”. When LPG burns, nothing other than CO2 and water is made (unless impurity is contained in the gas). So some people wrote skeptic comment against above hoax, but that was in vain. Majority of people linked the visual image of burning gas tank to toxic chemical hoax, and believed it’s true. There were many varieties of the hoax in a short time. Popular one had introduction of “The Ministry of Health, Labor and Welfare of Japan warned that …” Another one goes “According to my friend working for Cosmo Oil …” Apparently, there is some kind of malicious intent. If everyone is doing this for goodwill, that kind of variety can’t exist. It is a sad fact that some people tried to use this kind of big, fatal disaster to satisfy such an evil intent. It is also interesting that, in the end, it is combined with the accident of nuclear power plant, and finally goes like this. “A tank containing toxic chemical exploded and spilled out radiating isotope. Be careful to radiation.” Some people seemed to believe even this version. There were several other hoaxes over Twitter, even in English. One example is “The creator of Pokemon, Mr. Tajiri is dead because of the tsunami”. Of course actually he’s not. This hoax is possibly because there is a town called “Tajiri” in the affected area and someone who heard the news took it for the person’s name. This hoax also spread over, even among those used hash tag of #prayforjapan. When I read this part, I felt strange feeling. The case of Seiyu and Wal-Mart is known to be a fiasco in Japan. In Japan, still many people decide which supermarket to go by looking at the flyer delivered with the newspaper every morning. 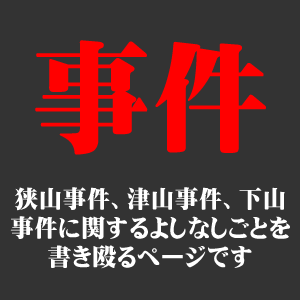 Seiyu abolished the flyer saying no ad is necessary for EDLP strategy, but that was not accepted by Japanese consumers. The price of Seiyu was actually not so much cheaper than others, at least not overwhelmingly cheaper. This was mainly because the supply chain optimization did not work well in Seiyu, even with the help from Wal-Mart. Several private brand products of Wal-Mart were introduced at cheap price. However, they did not meet the quality standard of Japanese consumers. Wal-Mart and Seiyu started partnership in 2003 and until 2006 they struggled to enforce EDLP strategy into Seiyu. However, every year until 2008 Seiyu reported operation loss. After 2007, Seiyu temporarily tried to get away from EDLP and concentrated on supply chain improvement. Recently they are trying to restart the EDLP, but with several modifications. It seems to be going well, at least much better than the one during 2003-2006. They call the strategy “Kakaku Yasuku” in Japanese, instead of English word “EDLP” (lol). They started to assure the customers the cheapest price competing with flyer. If a customer brings a flyer with a price cheaper than Seiyu, Seiyu discounts to match it. What can we learn from here? Of course the cultural difference with flyer ad was one of the reason. However, I think the most crucial point is that we need to consider what is the actual core value of “hedgehog concept” before enforcing it. EDLP strategy works for Wal-Mart because consumers can bet the price is actually the lowest at Wal-Mart. EDLP strategy did not work in Japan until the flyer match system started to assure the lowest price, and also until Seiyu improve the supply chain to make the price actually low. Trying to imitate the concept without actual core value can even be dangerous. Another important implication of this story is, yes, even Wal-Mart can sometimes fail. However, at the same time, it seems they are getting back to success by applying the true core value of their hedgehog concept. The World Is Flat – only for those who can speak English. I have an experience working with a software company in India (the same company argued in the book). Although they have superior technology and cost advantage, the project failed after several months of struggle. It was basically language and cultural problem. The Indian company assigned an Indian person who “speaks” Japanese, but his Japanese was limited and in the end we needed to communicate in English. When we develop a software, the first task is “requirement definition”, which is to define how the software should work. Indian company is really good at the software development AFTER the “requirement definition”, but we could not reach to that point. The experience always reminds me of a film title, “Lost In Translation”. Indeed, things are easily lost in translation. It is difficult to let software company know what you expect even when both parties speak the same language. You can imagine how hard it is with different language. I believe the high-level managements whom Thomas Friedman interviewed was telling what they believe is true. However, there’s always a possibility of different story going on in the real world. Also it is true that the technology such as the Internet and web2.0 shorten the distance. However, ordinary Japanese people can’t understand English. Even if English web site is available in front of him/her, he/she can’t understand it anyway. Translation software, at least at current level, does not help a lot. This is a sample of “English” I just got at a web page with translation service. You may understand the intention, but it is very hard and takes time to read it. As far as I remember the quality of computer translation has not significantly improved for these 20 years. In short, even the information, job and services can be ubiquitous in today’s world, there’s always the limitation of accessibility due to the INTERFACE for non English natives. In other words, the “Flat” world would be the one where the difference of interface matters much more than physical distance.